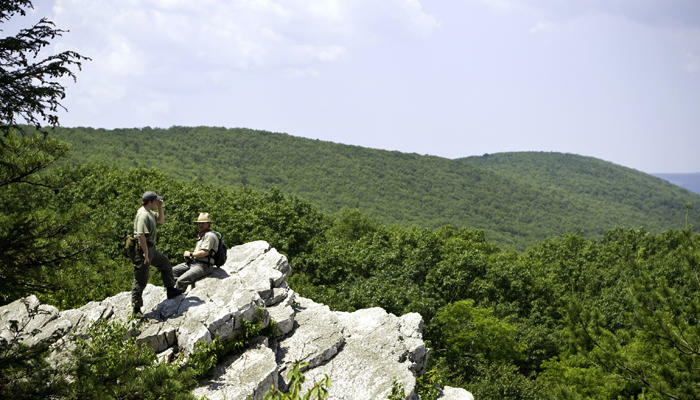 Cumberland Valley is filled with hiking and outdoor recreation opportunities. 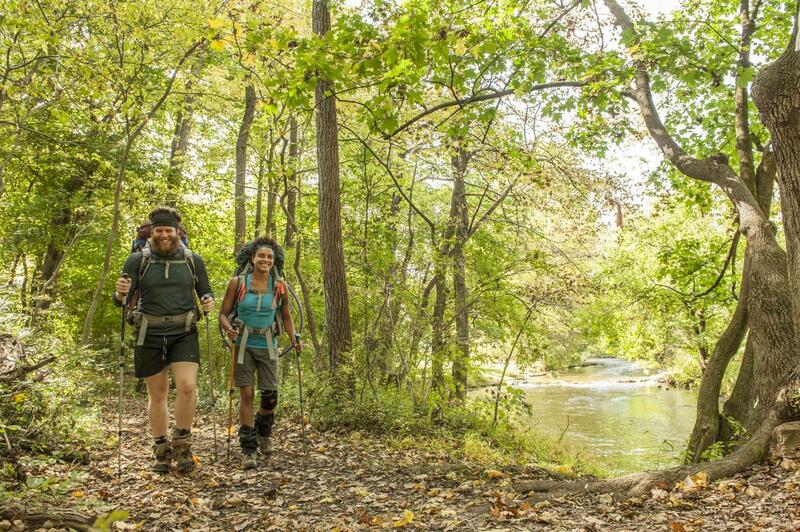 Browse our Top 10 Hikes and Trails to get moving! Highlights: Cumberland Valley is home to the midway point of the 2,189-mile A.T. Easy access points and ample parking allow for multiple day hiking opportunities and experiences. Highlights: Steep and rewarding hike that leads to a quartzite outcrop with views of Pine Grove Furnace State Park. 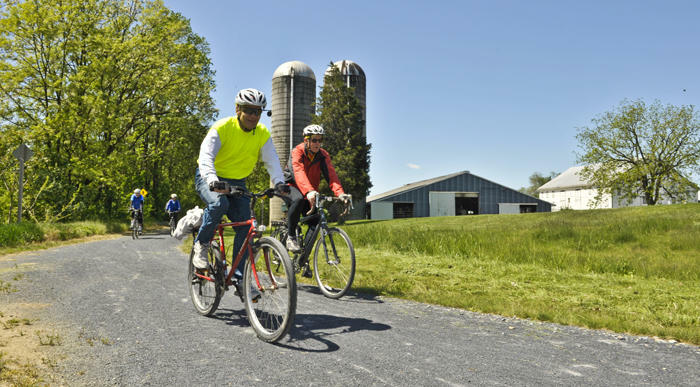 Highlights: Hike, bike or horseback ride on this 11-mile rail trail connecting Newville and Shippensburg. Highlights: This rugged hike leads to a 180-degree view of the Valley. Highlights: Kings Gap features 20 miles of trails ranging in difficulty and length for all types of hikers. Highlights: Hike the 7 miles of various trails in this 913-acre nature preserve. Highlights: Scenic nature trail surrounding the famous LeTort Spring Run fly-fishing stream. Highlights: Very popular and steep trail that leads to beautiful views of the Valley. 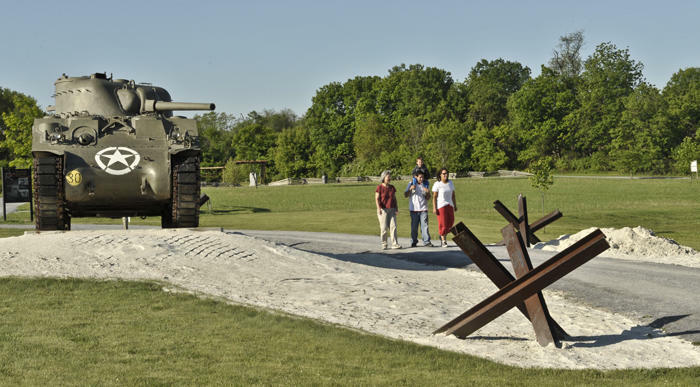 Highlights: Leisurely one-mile outdoor trail with full-scale military exhibits, located at the U.S. Army Heritage & Education Center. 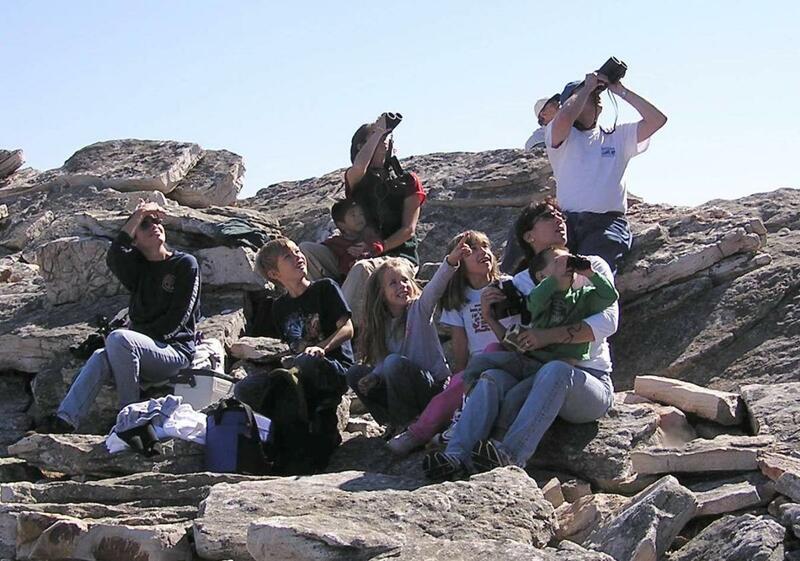 Highlights: Enjoy a short hike up to the 125-acre hawk watching rock outcrop. 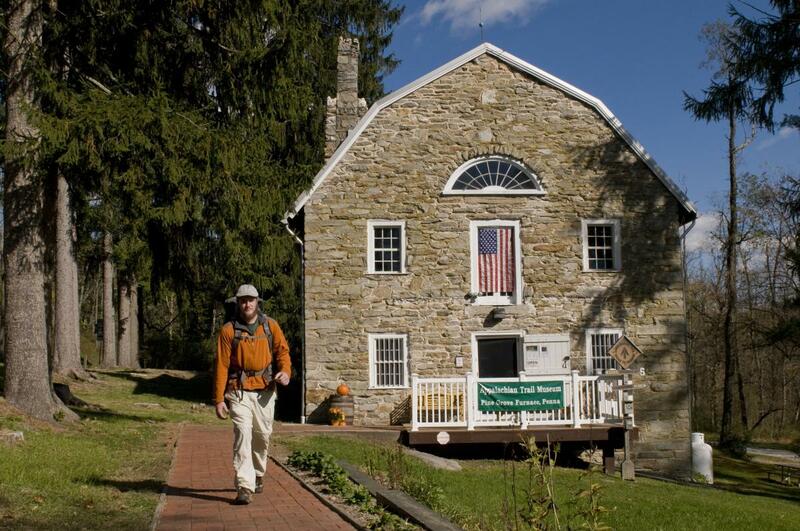 Boiling Springs, an official Appalachian Trail Community, is home to the Mid-Atlantic Appalachian Trail Conservancy (ATC). Stop by for trail maps, day trip suggestions, and free parking permits. This town offers the beautiful Children&apos;s Lake, the pre-Revolutionary War Carlisle Iron Works Furnace, and dining options including the quaint Caffe 101 and the historic Boiling Springs Tavern. Hike the A.T. by following blazes across Bucher Hill Road, along the famous fly-fishing stream Yellow Breeches Creek, then along Children&apos;s Lake. Continue past the gazebo to the ATC. You can also head south on the A.T., crossing a beautiful historic stone bridge, zig zagging through farm fields & taking a steady climb up South Mountain to Center Point Knob. 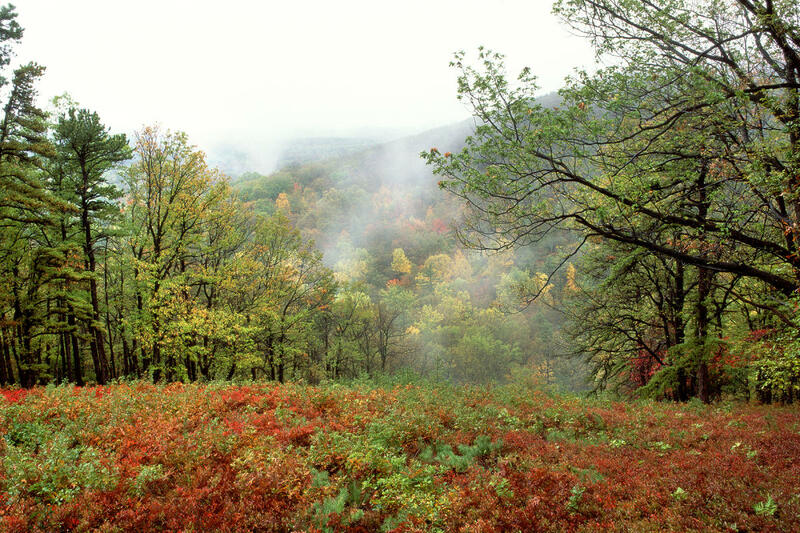 In addition to hiking the A.T., you&apos;ll also find a ton of unique experiences to explore at the award-winning Pine Grove Furnace State Park.